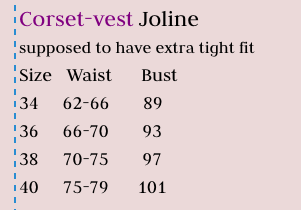 Gorgeous vest with lines of a corset. Hooks and eyes at the front and long ribbons to tie at the back or front. Enjoy the charming twist of the fabolous 50´s and the shapes of the sensual 1700s. 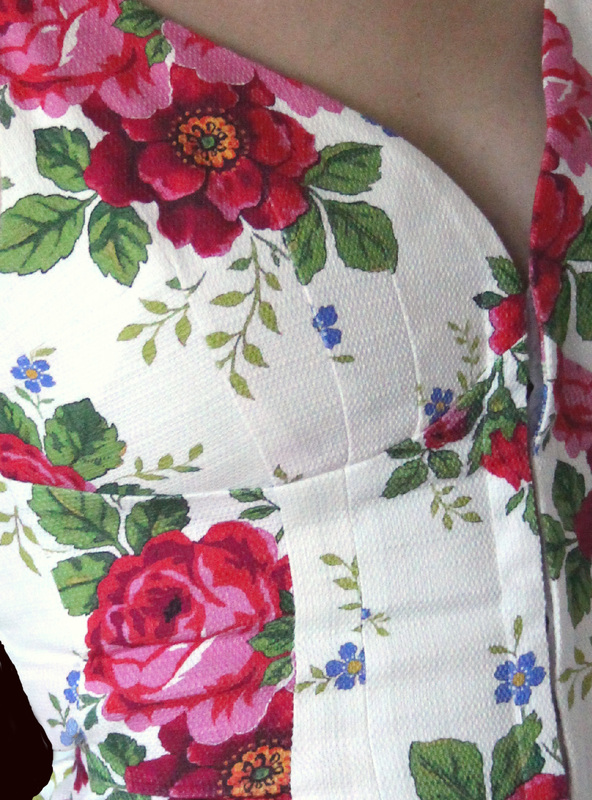 The fabric is special printed with a rose-pattern designed by Ia Westergaard. Also nice to wear over a thin blouse or top. And of course also beautiful to your favorite jeans.